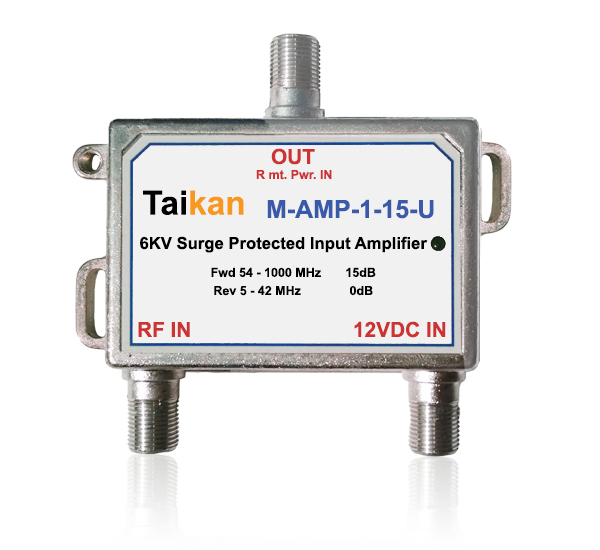 Taikan's series of Drop Amplifiers address the needs of CATV operators. A rugged housing, excellent RF performance and dual mounting tabs make this product line the best choice for MSO’s. This series is designed for easy installation as well as reliable, long-term service. Taikan’s AE86x-x has been specifically designed for use in multi dwelling environments such as hospitals, apartment complexes, and hotels. This high gain unit has a bandwidth of 860 MHz, allowing effective transmission of large volumes of data within the CATV network. The built-in equalizer and attenuator (gain/tilt) allow for increased flexibility and easy adjustment of the signal output. The unit includes a European (65/85 MHz with 220 V) or US (42/54 MHz with 110 V) power adapter.